More than a handful of issues compound the popular public conversation in what has been a short but rather eventful 2019 so far for Barbados. And I am not even referring to the surprisingly unseasonal nature of the chilly nights in St George and elsewhere or that of the current cricketing exploits of the regional cricket team. Local public discourse ranges from the arrest and charging of a youth that, in popular parlance, has “not yet lost his mother’s features” accused of apparent serial murder to the forewarning of a prohibition on the local use of plastics and Styrofoam, with some exceptions, after April 1. From two executives of a leading local insurance company being indicted for money laundering in the US, to the island’s authorities being plainly at a loss as to the optimal temporal solution to a crime wave involving unlicensed forearms, and being obliged to declare a weekend of national prayer in addition to the unprecedented and controversial appointment of a consultant to the Commissioner of Police, among other measures. From a recent report of Transparency International that contrary to popular perception and public accusation, Barbados places as high as 25 on a list of 180 jurisdictions in descending order of the perceived level of public corruption and, for what it may be worth, ranks currently as perceptibly the least corrupt jurisdiction in the region, to the complex determination of the ideal policy stance to adopt in the ongoing Venezuelan todoment, having historically declared our foreign policy intent to be a lofty-sounding but geopolitically impracticable “friends of all and satellites of none”. While the second part of this dictum is eminently achievable, it is clearly more difficult to subscribe to the first in any scenario of international conflict except perhaps to sit on the fence. Is anyone, anywhere, at all times a friend of all? Any act done by a person outside Barbados which would be an offence if done within Barbados, is an offence for the purpose of this Act. Of course, I concede that the prosecution of a criminal offence is entirely a discretionary matter, based primarily on the relevant authority’s perception of the chances of securing a conviction. However, that very resolution is way above my pay grade. Readers should simply take note here that our law is not entirely deficient in this regard. With respect to the weekend of prayer, given our predilection for the Biblical Judeo-Christian injunction and our traditional insistence on being termed a Christian society, there is little doubt that this notion will resonate with a sizeable majority of permit me to discount the potency of prayer or the mysteries that constructive thought, faith and positive belief may effect. At the same time, I consider that humanly to do nothing and expect prayer to solve miraculously a man-made problem such as a gun-crime wave smacks less of faith and more of superstition. Not that there has been any paucity of suggestions as to how to cope with our current predicament. One former magistrate and MP has suggested a gun court, as was the case last century in Jamaica. Unfortunately, this turned out to be declared unconstitutional by the JCPC in one of the landmark cases of regional constitutional jurisprudence. There have also been the usual suggestions of violent retribution for offenders; hanging, whipping dismemberment and castration. The Commissioner of Police had suggested that there should be no bail granted for those charged with gun crimes, the former Minister with responsibility for the Police politely implored the perpetrators to put down their guns and the Prime Minister herself has warned them in the lingua franca, “Not ‘bout hey”. Most controversial from a partisan political angle, however, has been the nomination of a former Commissioner of Police, Mr Darwin Dottin, to be a consultant on crime, either to the Office of the Attorney General or, as it appears to have been popularly perceived, the Commissioner of Police. If it is indeed the latter, this measure would be unexceptionable had the request for such assistance emanated from the Commissioner himself, but that does not appear to have been the case. We are therefore left , rightly or wrongly, with the impression that the current task is overmuch for the current High Command and that greater intellectual candlepower is required. Indeed, it may be argued that the authorities are putting themselves out on a limb here, for nothing but unconditional success in curing the scourge will suffice cogently to justify this unprecedented initiative. Unfortunately, the constraint of time today compels me to break of here and to continue this commentary next week, D.V. So what is your statement indicative of? I did not see the young people in the choir this morning? …..this new government appears to still live in some alternate world that does not include the taxpayers or pensioners …only the taxpayer’s and pensioner’s money..
….their alternate reality which is a delusional fantasy…has already been seen by those who are awake….but carry on smartly…the show is good and it will not be me wearing any ankle monitors…just take ya yardfowls with ya for company when they haul yall off……cause this failed one here is trying to convince us that Dottin can’t consult for the taxpayers for free….oh no, his pension is not enough…and to add insult to injury…the taxpayers must pay him for wrongful dismissal…when he should have been dismissed for the disgrace that he is…..without any pension.. 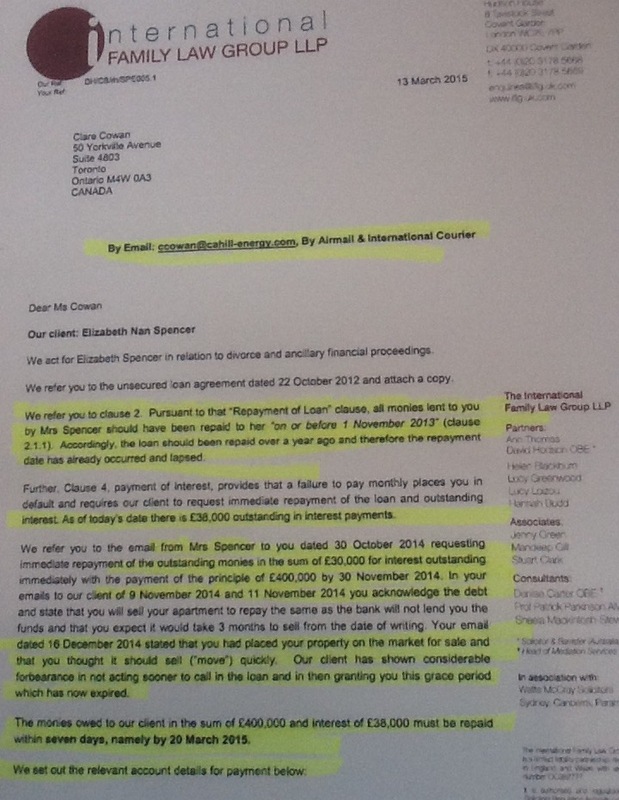 Living proof that these DLP and BLP lowlifes for ministers, lawyers etc, do not only tief from and prey on the elderly and everyone else on the island …but they also tief from each other and their vulnerable elderly and their living beneficiaries…living proof in the form of Jackie Stewart’s mother and her sister the deceased Ermine…. Ah wonder if the yardfowl can answer this for Mia and Dale…what does Dottin blackmailing Mia got to do with the taxpayer’s money which he should not be getting another dime of…bad enough he is getting a pension. Ah do believe Mia got more than enough millions in her many offshore accounts to pay off Dottin. Then there is the ugly Payne Marshall stain making it’s way across the world for public viewing..
yall are blighted and curse…nothing will work..
BTW…..although Joyce Griffith got disbarred for her thievery against her clients…….the other lawyers have learned nothing, their heads are so goddamn hard…..injured people are STILL COMPLAINING ABOUT Patterson Cheltenham..
…..why don’t these evil lawyers like to give their injured clients information about their own cases, why are they still hiding the compensation amounts from their suffering clients..who have a right to know how much the insurance companies offer them..it should never be a well kept secret away from the injured clients…who then never see their money..
can’t these dirty lawyers see what is happening to lawyers and at least one MP in Jamaica…..but that is yalls business, can’t happen. to me because I don’t tief from the injured nor the elderly…ain’t got that blight to deal with…. The suffering clients fraid de big shot lawyers. If they had just a little gumption they would get what they want. But there is a saying in Barbados – ya cyan fight de doctor fuh he medicine. It appears Bajans have extended this to lawyers as well. Barbadians are easily intimidated by doctors and lawyers. We have been trained to do this from childhood when our parents and teachers keep holding up doctors and lawyers as the epitome of intelligence. Most Bajans therefore are not confidant enough to challenge these “superbeings” and meekly accept what they instinctively know to be nonsense. Fortunately, I am from a family of rebels who never took well to training. Challenged more than one doctor and more than one lawyer. And got what I wanted from them. As a matter of fact my former attorney is waiting for payment from ME for two years. And my present attorney has just changed a claim to accommodate MY SUGGESTIONS. There is a story in the “blighted” Bible about a corrupt judge who gave justice to a persistent widow just to get rid of her. We have to be persistent and insistent. P.S. I am a little confused about the compensation due to Dottin. Has he filed another case, a different one that would have a basis for settlement? Could somebody please enlighten me in an organised manner with all the facts in logical sequence? Donna…Jamaica is taking them out one by one, for reasons we can only guess at..
“ORANGE HILL, St James — The body believed to be that of missing attorney-at-law William Hines, 65, was found in a sink hole on his farm in St James yesterday. Hines, who is of Greenside, Falmouth in Trelawny and Mona in St Andrew, has been missing since Sunday, January 6. A search party found the decomposed body, with hands and feet bound, in a sink hole near a storeroom on a cattle farm, which Hines operates in Orange Hill, near Goodwill district in St James. Crime scene investigators and members of the Trelawny division of the Jamaica Fire Brigade visited the scene last everning. 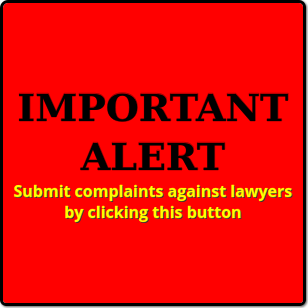 the problem with the lawyers in Barbados, they want to work for the insurance companies…AND…the clients suing the insurance companies as well…. in a real conflict of interest scenario where the client ends up getting no money because they don’t know the lawyers are on the same insurance companies payroll…injured people have been complaining for years….sometimes if they are lucky, the dishonest lawyer would tief the bulk of the compensation and through a few thousands the suffering claimant’s way..ya dealing with nasty thieves from the bar association of vipers so expect nothing less. scum who needs something done with them….permanently. apparently the lawyers in Barbados think they are going to get away with robbing clients and robbing everyone for another 50 years….they need a Jamaica awakening. A man told me a few weeks ago that he used to work for an attorney who as, a matter of course, sent him out to lie to clients regarding their cheque for land he had already sold and been paid for. The man told me he knew the attorney had been paid because he collected the cheque himself. He no longer works for any attorney. Quite true about the attorneys working for insurance companies and injured persons. Terrible conflict. But hear this – there are doctors running the same scam! By the way, you don’t actually have to harm them. You just have to put doubt in their minds about your sanity. Temporary insanity is actually reasonable under certain circumstances. Yeah…some of the doctors are horrible…they willfully insert themselves in personal injury cases, lie on the patient’s medical reports so it can go to court unnecessarily, while they get up on the witness stand and tell the judges endless lies… so they can get a big payday…none of them cares if the injured claimant gets any money…as long as the lawyers, lowlife judges who would violate their oath and disenfranchise the injured and elderly and doctors get paid. very few doctors are genuine and can about injured patients, we know the genuine ones.. The lawyers just rob everyone and the bar association of scum plus the parliament of scum…protects them. …they are sickening and have committed many crimes against generations of people and caused untold damage, they are pure evil and just imagine it’s the taxpayers had to educate this nasty, hungry, greedy lot…same taxpayers they have all been gleefully robbing for decades. very few doctors are genuine and CARE about injured patients, we know the genuine ones..
How can a mana accused of such serious offences appear in court without legal representation? How can a so-called civilised society abandon due process, which includes the right to a far and transparent trial? Where is the bar association? Murder accused Romario Antonio Roach made his second court appearance today and was remanded to HMP Dodds until March 6. The 18-year-old appeared in the District ‘A’ Magistrates’ Court this morning before Magistrate Kristie Cuffy-Sargeant in connection with the unnatural death of 68-year-old Tyrone Austin, of Free Hill, Black Rock, St Michael. Austin’s lifeless body was discovered in a bushy area at Wanstead Gardens, St James on December 18, 2018. The teen is also accused of committing two other murders and will reappear before Magistrate Wanda Blair in the Holetown Magistrates’ Court on February 28. It is alleged that he murdered his mother, 38-year-old Joann Roach, of River Bay, St Lucy, whose partially decomposed body was discovered in a watercourse in the same area on Monday, January 21.
Who is going to step in and defend this man? Where is the attorney general? Where s the bar association? Is justice a word in the Bajan vocabulary? Asking the Barbados Defence Force (BDF) to join forces with the Royal Barbados Police Force (RBPF) was a necessary step to show criminals Barbados was taking crime prevention seriously. And the move, according to Attorney General Dale Marshall, has already received positive feedback from the public. Speaking during a Barbados Labour Party (BLP) Christ Church South meeting at St Christopher Primary School on Sunday night, he defended the decision to bolster the police with the soldiers. Why does this Motley-led government try to pull the wool over people’s eyes? Two weeks or so ago the attorney general walked through the slums of Suttle Street with the army and police and talked about joint patrols. Now, in his Chinese inspired nonsense, he is claiming the so-called joint patrols are already paying dividends. Do they think we are stupid? Such simplistic nonsense They le because they reals they do not have any social policies to sort out the Barbados crisis. A 20-year-old man accused of kidnapping a 60-year-old woman from her Fort George Heights, St Michael home last month, was granted bail this afternoon. Teriq Kaareem Linton, of No. 2 Cavewood Road, Tichbourne, St Michael, was not required to plead to entering the house of Radha Rabilall as a trespasser to commit an arrestable offence to wit: theft and had at the time a firearm on January 31. He was also not required to plead to robbing Rabilall of a $2 400 cell phone, two ATM cards worth $50 and $1 000 in money on the same date. He was further accused of removing Rabilall from her home, without her consent, or someone who was legally authorised to do so, also on January 31. Prosecutor Station Sergeant Cameron Gibbons objected to bail in the District “A” Magistrates’ Court. However attorney Kristin Turton, who represented the man made a stirring argument. Magistrate Kristie Cuffy-Sargeant granted the lighting technician $20 000 with two sureties, ordered him to surrender his passport and report to the Oistins Police Station every Tuesday and Wednesday before 3 p.m.
Something fishy about this alleged offence. And the most unforgiving magistrate in Barbados granted him bail. Either she has seen the light or she too is doubtful. Do they think we are stupid? Such simplistic nonsense…. I thought the same thing. It is vomit-inducing the amount of garbage that the authorities in Bdos put out on a daily basis. A 20-year-old man accused of KIDNAPPING a 60-year-old woman. had at the time a FIREARM. Barbados law is different from where I live. It is all smoke and mirrors. In nearly 50 years of taking an interest in the criminal justice system something about this case smells. I do not understand why this young man is being allowed to face such serious charges without representation. This is a travesty of justice! What kind of country are we living in???? ?